It might not have been quite as emphatic as last year's semi-final defeat of Tyrone, yet, Dublin's journey to a fourth-successive All-Ireland final could scarcely be described as anything but routine. In a relatively vacant looking Croke Park, Jack McCaffrey offered a rare glimpse of genuine excitement. Jack McCaffrey: as happy as a child in sand. Objectively, today's convincing semi-final win for Dublin had the appearance of a competitive tie. Leading Galway by a two-point margin at the half-way mark, the game nevertheless appeared oddly subdued. Maybe a result of Galway's wastefulness compared to Dublin's composure in front of goal, the 54,717 - however much noise such a crowd should be able to generate - seemed about as evident as to be as the vast swathes of empty seats as they were by the action on the field. 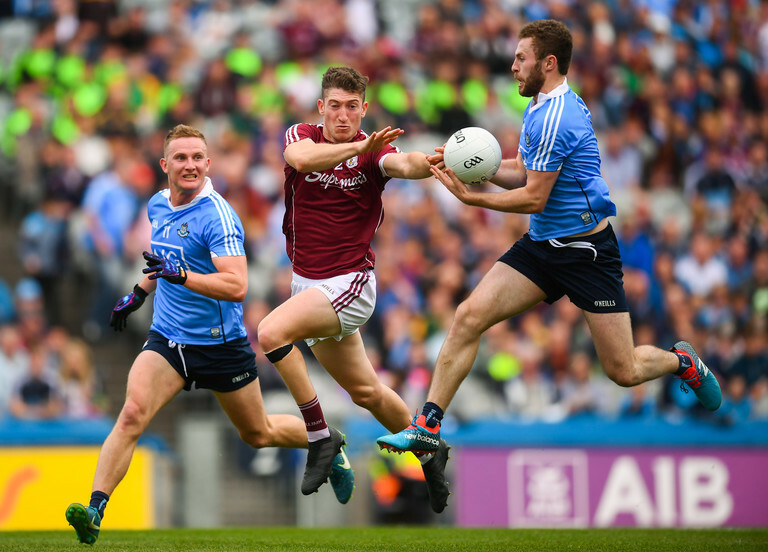 Amid all this, Jack McCaffrey was doing his best to invigorate a game that, perhaps on a day where Galway were more ruthless in front of goal, could have got away from Dublin. Marauding from his own half into Galway's territory with great frequency, his involvement in Con O'Callaghan's first-half goal for the reigning All-Ireland winners ought not to be underplayed. Doing the bulk of the running himself, he picked out Niall Scully with a wonderful hand-pass, before he fed the ball into a waiting O'Callaghan. Whatever the reasons behind the limited attendance, McCaffrey's performance managed to delight many of those who, more often than not, would scarcely have considered an All-Ireland semi-final to be not worth the hassle of attending. With a potential final against Tyrone or Monaghan now between them and a record-equaling four-in-a-row, Dublin will certainly fancy their chances. Jack McCaffrey on fire this evening. Incredible half of football from @DubGAAOfficial's Jack McCaffrey. On fire. Directly involved in a lot of the scores. And making key runs. Jack McCaffrey is running the show out there. Defensively solid and carrying the ball forward very effectively. Looks back to his very best. Jack McCaffrey is hurling a blinder tonight. Galway need to sort their kick outs or it's all over.